Venom had the right ingredients from an incredibly talented actor starring, a multi Oscar-nominated actress in the love interest role and an interesting anti-hero in the form of black goo. Unfortunately, the execution wasn’t the best. Sony Pictures Home Entertainment has announced the date and released artwork for the sci-fi actioner, Venom starring Tom Hardy, Michelle Williams and Woody Harrelson. Click on the link below or image to the left to check out the features and artwork. Inception might be my favorite Christopher Nolan film, or at least right there with The Dark Knight and Interstellar. The film features some well done performances and groundbreaking visual effects and storytelling that despite the eight years since its release, still holds up incredibly well. The Dark Knight Rises might be a slight step down from its predecessors in terms of story, but the performances from Christian Bale, Tom Hardy, Gary Oldman and Anne Hathaway were all top notch and it was a satisfying enough conclusion to the trilogy. Dunkirk might not be Christopher Nolan’s strongest film, and given the subject it really should have been, and although it didn’t connect to me on an emotional level, both in terms of characters or suspense-thriller aspects, it is still a technically well made film worth watching. 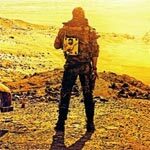 Mad Max: Fury Road is a title that lives up to its name. The action is incredible and the characters outlandish yet awfully fun. It’s a great revival of the franchise from the creator himself and it features some of the most impressive stunt work captured to film with only moderate use of CGI to tie it all together. 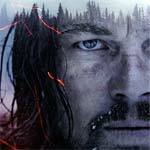 I never was fully engaged with Alejandro G. Iñárritu’s The Revenant but it is hard to deny both the technical and performance greatness behind the movie, most notably Leonardo DiCaprio’s impressive physicality that he brought to the role and almost equally impressive was the on-location filming. 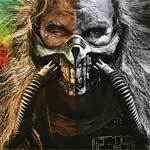 Mad Max: Fury Road is a title that lives up to its name. The action is incredible and the characters outlandish yet awfully fun. It’s a great revival of the franchise from the creator himself and it features some of the most impressive stunt work captured to film with only moderate use of CGI to tie it all together rather than used as a crutch. 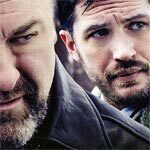 The Drop is a well made if not a bit ordinary crime-drama that excels with the main three actors headlined by Tom Hardy who continues to impress and there’s special interest with James Gandolfini being his final feature film and he gives his usual great performance. 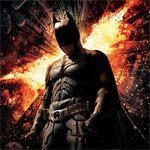 Warner Brothers has announced the date and released artwork for the superhero action-adventure, and final film in Christopher Nolan’s Batman Trilogy, The Dark Knight Rises starring Christian Bale, Anne Hathaway, Michael Caine, Gary Oldman, Tom Hardy, Joseph Gordon Levitt and Morgan Freeman. This Means War is by no means… err… no way a very good movie but because of the cast and at least an interesting premise, makes for an enjoyable, if not forgettable, action romantic comedy. Reese Witherspoon is as charming as ever and the rising stars of Chris Pine and Tom Hardy both show they can be leading men. The Blu-ray offers up excellent audio and video transfers and an OK selection of features that don’t amount to a whole lot. 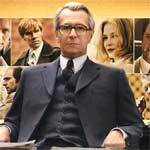 Tinker Tailor Soldier Spy excels in the acting category, and more specifically an excellent performance from Gary Oldman, but the story doesn’t hold as much water as I’d hoped. Sure, some of the storytelling was well done but there’s so much going on and the jump cut from past to present can be tough to keep up with if you’re not fully engrossed. Still, this is a good movie worth checking out at least once.